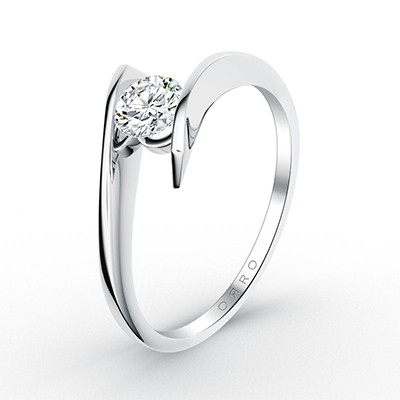 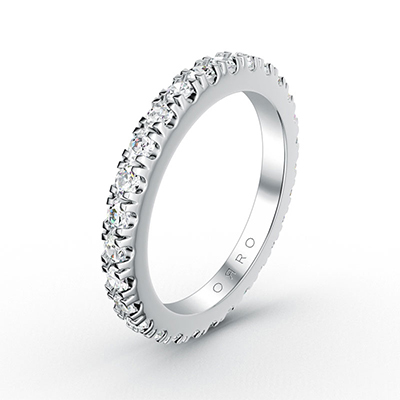 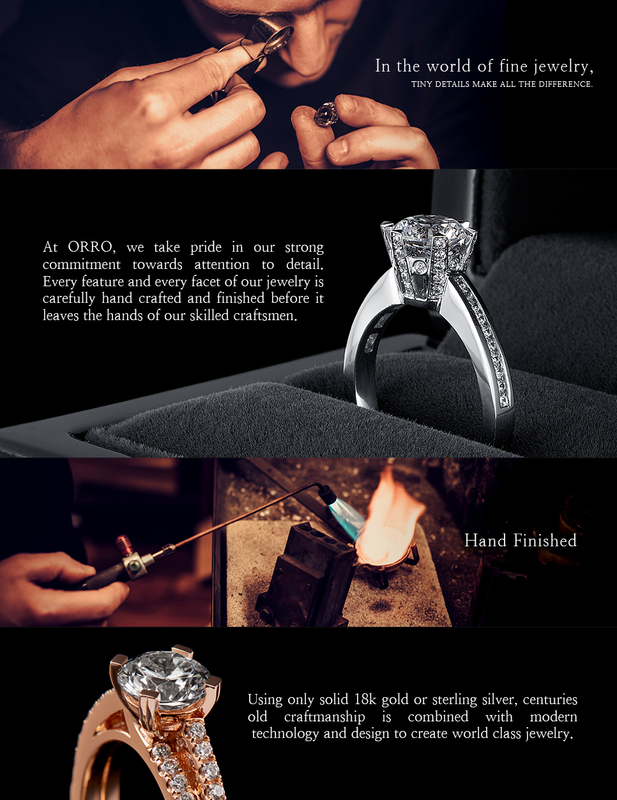 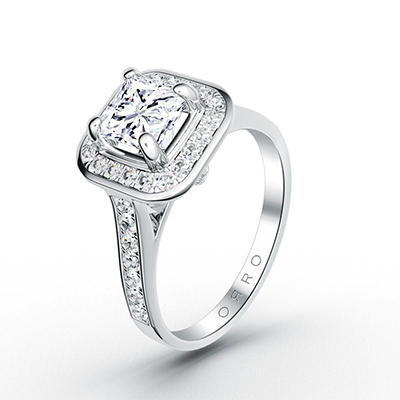 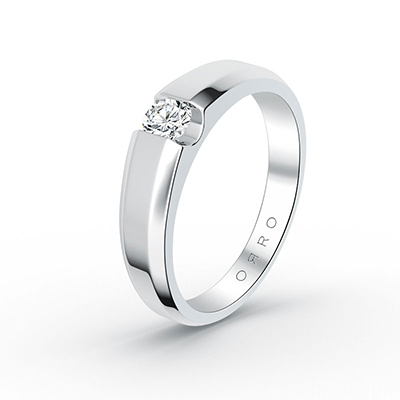 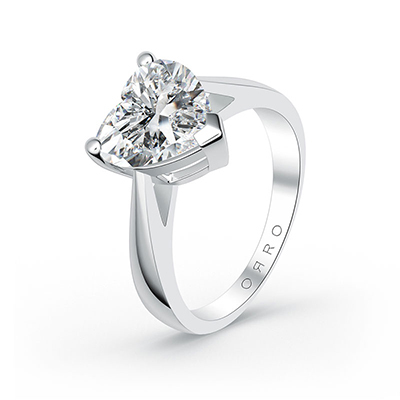 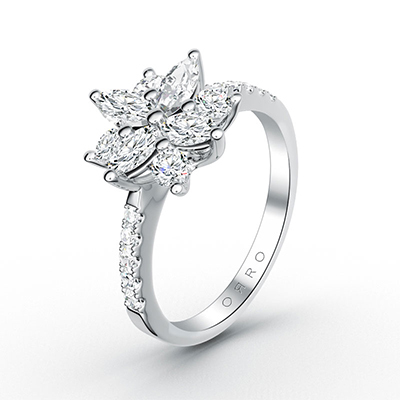 The ORRO Heart Tip Solitaire Ring with Cushioned Band is the classic four-pronged ring with a cheeky twist. 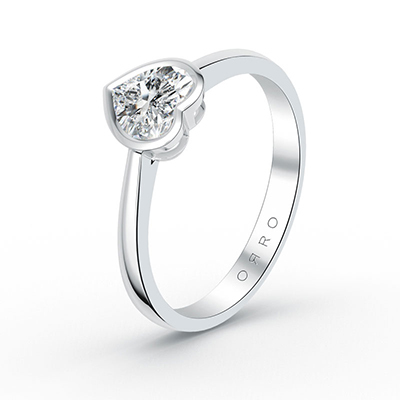 A half carat round brilliant-cut stone sits in a four-pronged setting with heart-tipped prongs against a contemporary cushioned ring band. 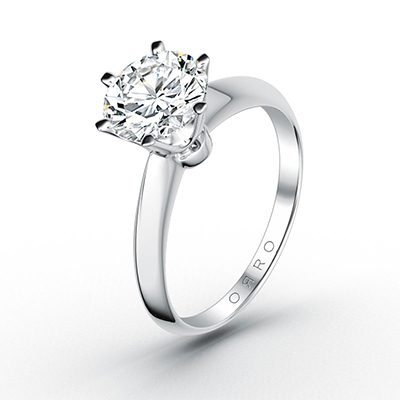 Perfect for the playful fashionista.